If you love shopping you will adore Dundrum Town Centre. 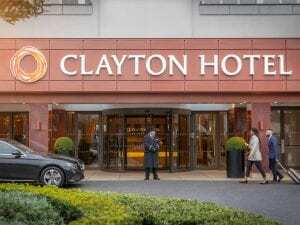 Clayton Hotel Leopardstown is located 10 minutes from Dundrum shopping centre or a quick Luas ride away. Leave your car at the hotel and jump on the Luas that will take you direct to Dundrum town centre, making Clayton Leopardstown the easiest choice for your shopping trip. Gather a bunch of your friends, book our hotel near Dundrum Shopping Centre and shop ‘til you drop. When you do, you have the comfort of one of our rooms to return to! What Can You Expect at Dundrum Town Shopping Centre? 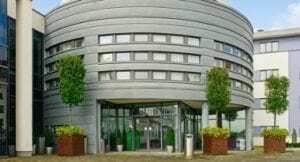 If this is your first time to visit the Dundrum shopping centre you will be mesmerised by the experience, this is one of Europe’s most impressive and luxurious shopping centres and conveniently located close to Clayton Hotel Leopardstown. Dundrum Town Centre offers Ireland’s only House of Fraser store. There are also over 40 restaurants and cafes to choose from, a theatre and a cinema complex. This shopping centre offers excellent choice and is one of the largest in Europe. 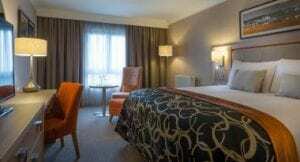 We would be delighted to welcome you to our hotel near Dundrum Shopping Centre. 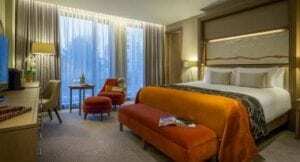 View our Dundrum hotel offers today.